Using data from the US Centers for Disease Control and Prevention (CDC) Multiple-Cause of Death Files (2006–2015), US Census Bureau, US Department of Agriculture Economic Research Service, Agency for Healthcare Research and Quality, and Northeast Regional Center for Rural Development, the study modeled associations between county-level drug-related mortality rates and economic, social, and healthcare environments. 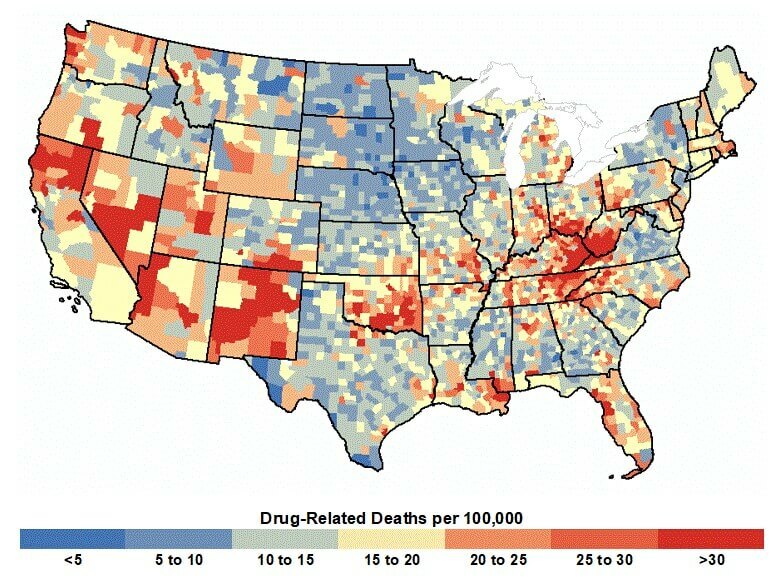 The article is “Factors Associated With County-Level Differences in U.S. Drug-Related Mortality Rates,” by Shannon M. Monnat, PhD (https://doi.org/10.1016/j.amepre.2018.01.040). It appears in advance of the American Journal of Preventive Medicine, volume 54, issue 5 (May 2018) published by Elsevier. Full text of this article is available to credentialed journalists upon request; contact Jillian B. Morgan at +1 734 936 1590 or ajpmmedia@elsevier.com. Shannon M. Monnat may be contacted directly at smmonnat@maxwell.syr.edu. This research was funded by the US Department of Agriculture Economic Research Service and the Institute for New Economic Thinking.